Connecting wires together - Friends of the Professional Car Society - Official Website of the Professional Car Society, Inc. Thanks to our friends at Hagerty Insurance for the following video. A tip, DON'T use masking tape in place of electrical tape. 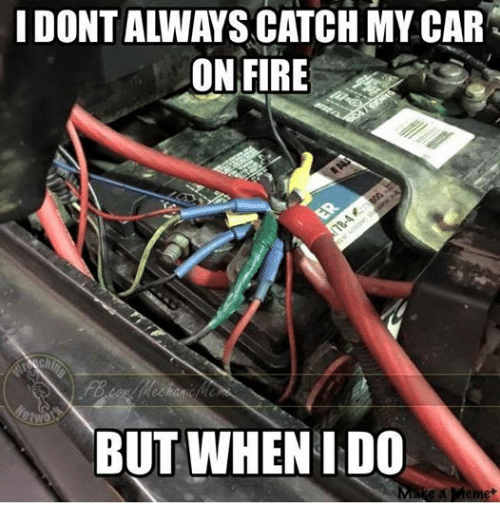 One car I bought many years ago had just that under the dash on wiring repairs. it's all good till you let the smoke out. Everybody knows masking tape goes on wires so you can write notes on it to get the wire back in the right place. Mark stuff??? don't you just keep touching them togather till either the sparks start flying or what you want turns on. Picture looks like wiring in some of the COP CARS we buy.